Classic photo. Indiana Jones style. 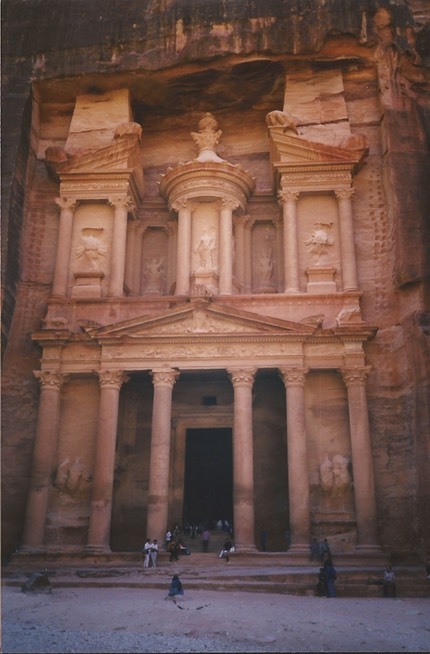 Petra is truly astonishing with the funeral temples hewn out of the cliffs. 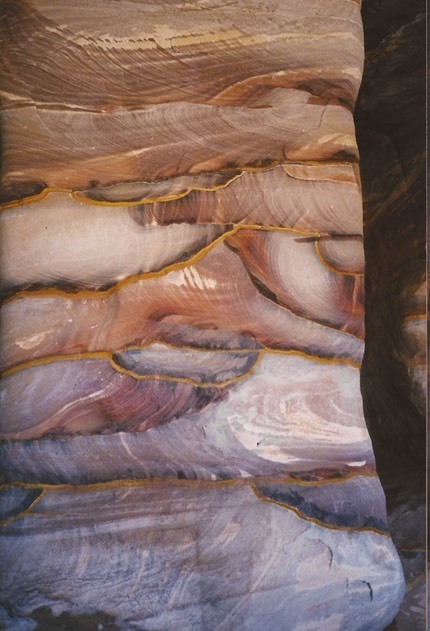 There is a lot more to Petra than this entry point. Very hot and dusty. Beats the Isle of Wight's Alum bay. This will be off limits soon, so our guide said. The coloured sands are bottled up in strange shaped bottles and sealed as souvenirs. Go for something really original like a camel….